We grow and sell bearded irises starting from the miniature dwarf irises to the tall bearded irises. The smaller the iris, the earlier they bloom. 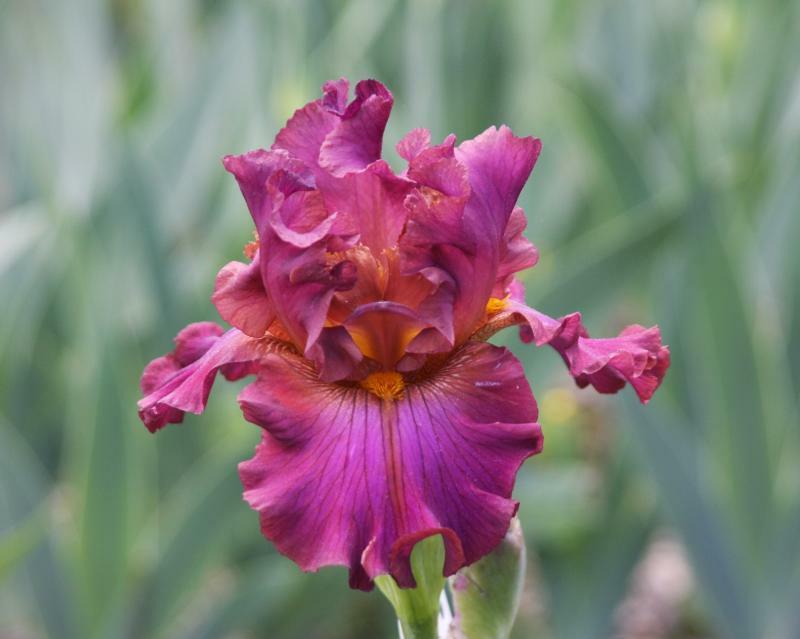 We will update our webpage with articles and information about bearded irises as time and energy permit. Our hybrid irises are winter hardy, grown and hybridized along a northern mountain ridge of the Allegeheny Mountains in northern Virginia, zone 6 (-10). We also have one of the largest collections of reblooming irises in the world. We specialize in hybridizing reblooming irises. Reblooming irises bloom in the spring and then, rebloom later in the season, mostly in the fall when the weather is cool and rain or water is available to them. Our hybridizing goals are to improve the colors, form, vigor and reblooming abilities of the bearded iris. Tall bearded irises in bloom at Winterberry Gardens in mid May. Want to find out more about irises? Check out the information from the American Iris Society. Copyright 2011 Winterberry Gardens. All rights reserved.